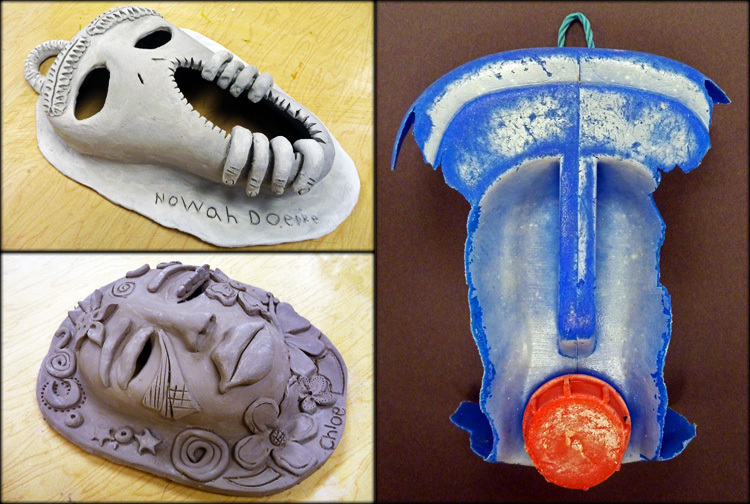 Kapaa Middle School students finished off the semester by turning in their ceramic masks. 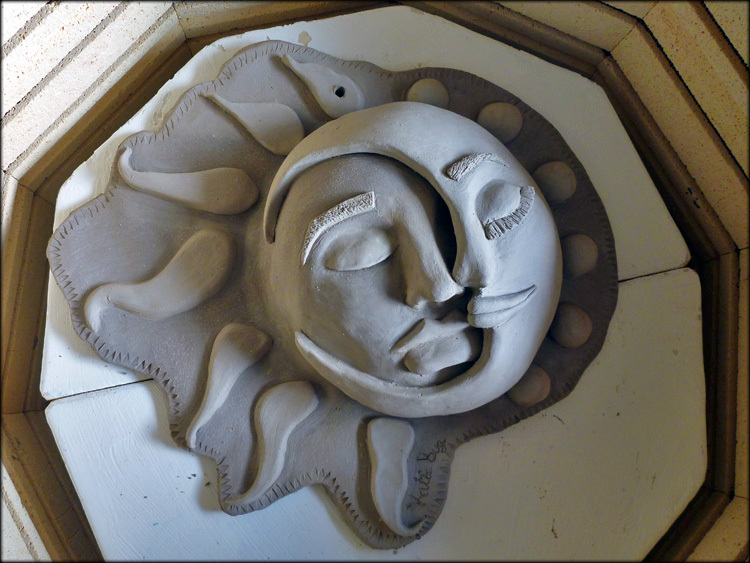 Now I just need to load the kiln, fire, and return 160 masks before we glaze them and fire again! One observant student found a piece of plastic on the beach that distinctly resembles the African masks we studied in class. She brought it to share, and now it’s hanging on our classroom wall for inspiration. I haven’t even introduced them to readymade art… I think we have a Marcel Duchamp in the making! 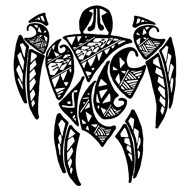 Love the work your Middle School students do- it’s nice to see another mid school art blog out there! These clay masks are fantastic- did they mold/drape them over anything in particular in order to get the face shape? Thanks for checking out our artwork! Yes, the students used a drape-slab method to build their masks. 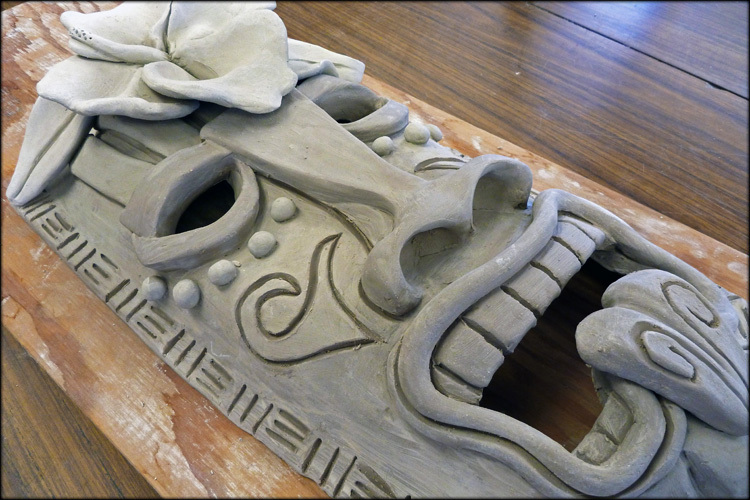 Before starting with the clay, students came up with an original mask design that they drew in their sketchbooks. Next they created an armature out of newspaper for the basic 3-D form, then formed the clay around it, and finally added details, carvings and cutouts. I enjoyed your blog as well… The Modigliani portraits are fabulous!